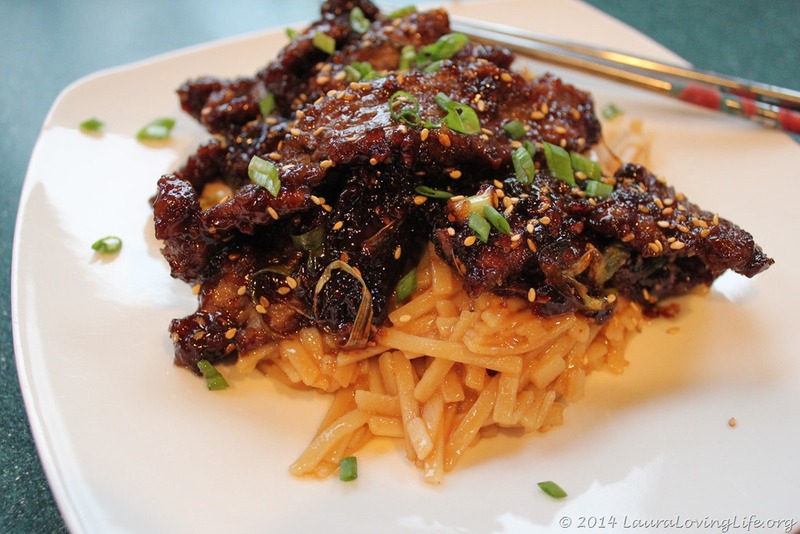 Mongolian beef, makes me think of PF Changs. 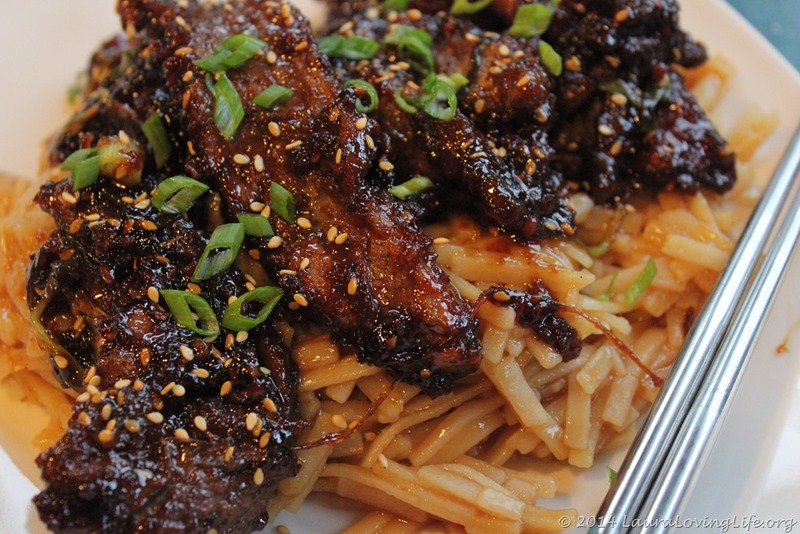 *mouth watering* I, and my family for that matter, love Asian inspired food; almost to a fault. Tradition is, I don’t cook on Fridays, and most of the time we get Chinese, Thai or such. I swear we keep the local restaurants in business. And seeing as I love to try to make new recipes I did this. Now I would be fibbing if I said I never made it before, I have, I just did not get around to posting it so I shall share with you now. You can serve this over rice, rice noodles, udon noodles.. whatever you find that suites your fancy. This time I did the wheat udon noodles. This is a bit time consuming so a Friday or Saturday seating for this is ideal. I know you will not be disappointed in the outcome, that’s for sure! 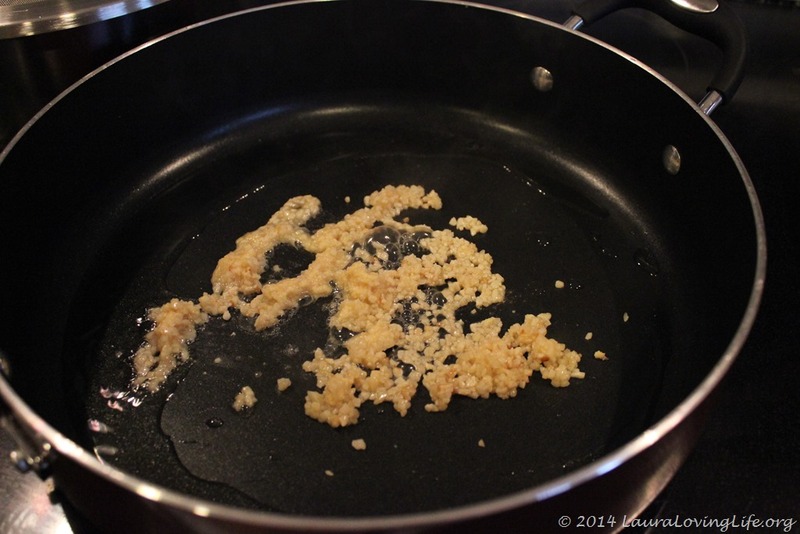 Heat up 2 teaspoons of vegetable oil in a saucepan over medium heat, and cook and stir the garlic and ginger until they discharge their aroma, this should take about 30 seconds. 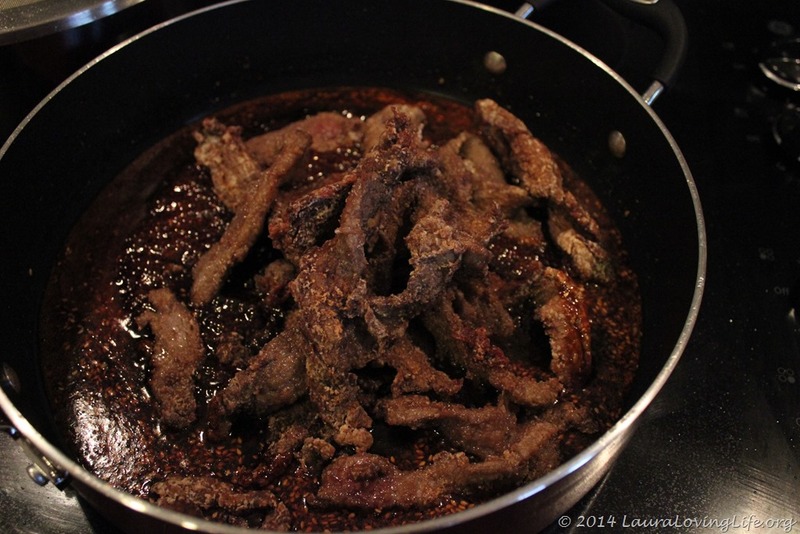 Pour in the soy sauce, hoisin sauce, water, and brown sugar. 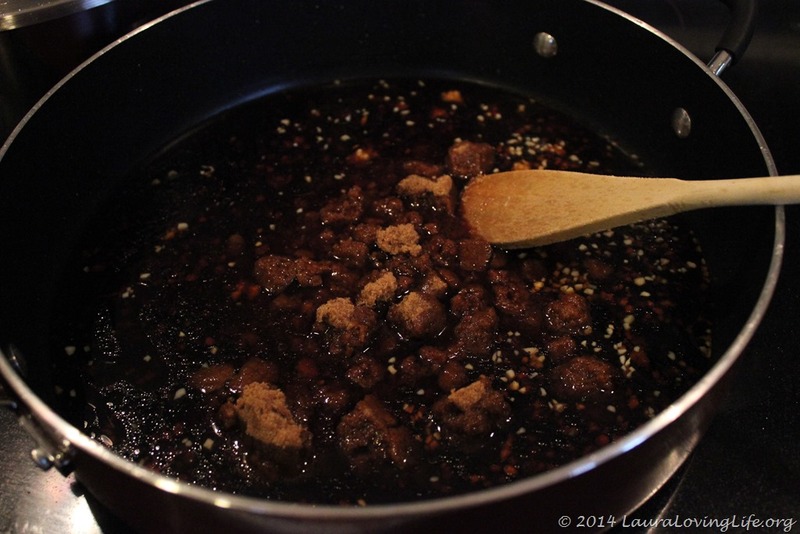 Raise the heat to medium-high, and stir for several minutes, until the sugar has dissolved and the sauce boils and slightly thickens. Remove from the heat, and set aside. 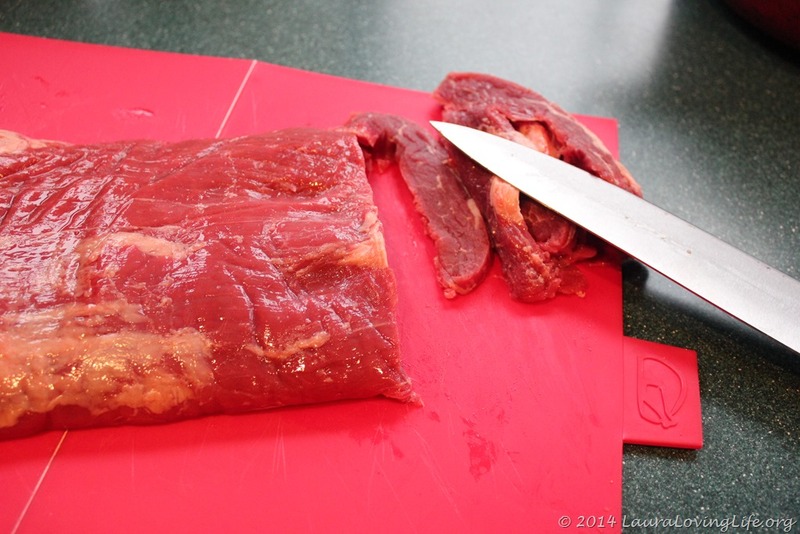 Slice your beef thin, this can be accomplished must easier by just doing two minor things; 1 have a super sharp knife and 2 semi freeze the meat so it is firm but not frozen. Makes cutting it so much easier. 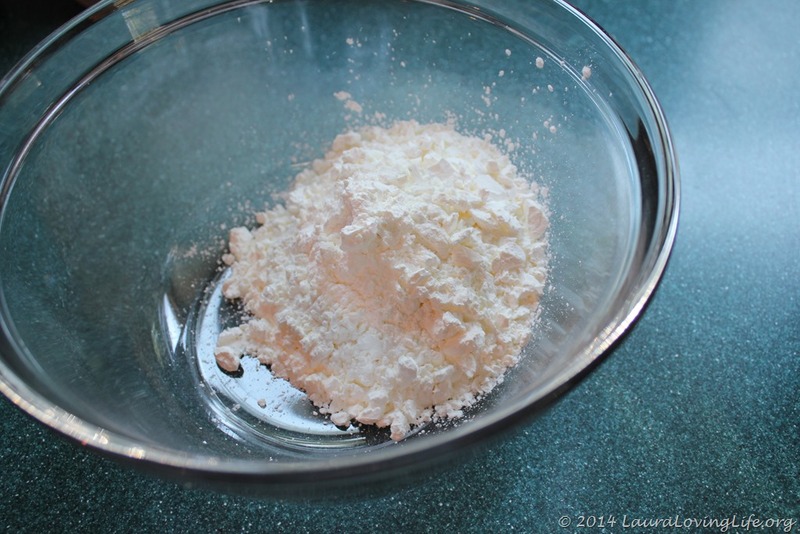 Place the cornstarch into a glass bowl and add the beef, coating it thoroughly. Allow the beef and cornstarch to sit until most of the juices from the meat have been absorbed by the cornstarch, about 10 minutes. 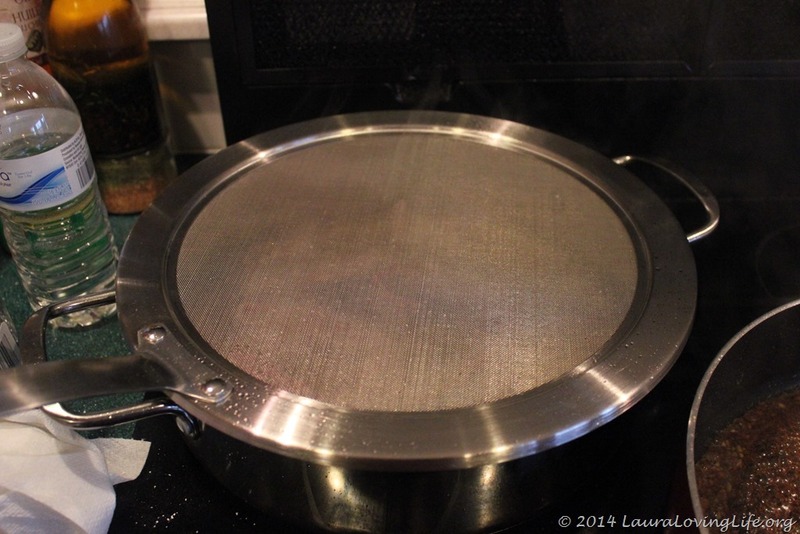 Heat the vegetable oil in a deep-sided skillet I typically do this at medium high heat adjusting as I cook, as you add the meat the temperature of the oil goes down and need to be adjusted to keep the oil hot enough to cook the meat without making it greasy. I’m not sure how else to explain that, if you find it difficult, I would suggest picking up a fry daddy or some other device to help you out. 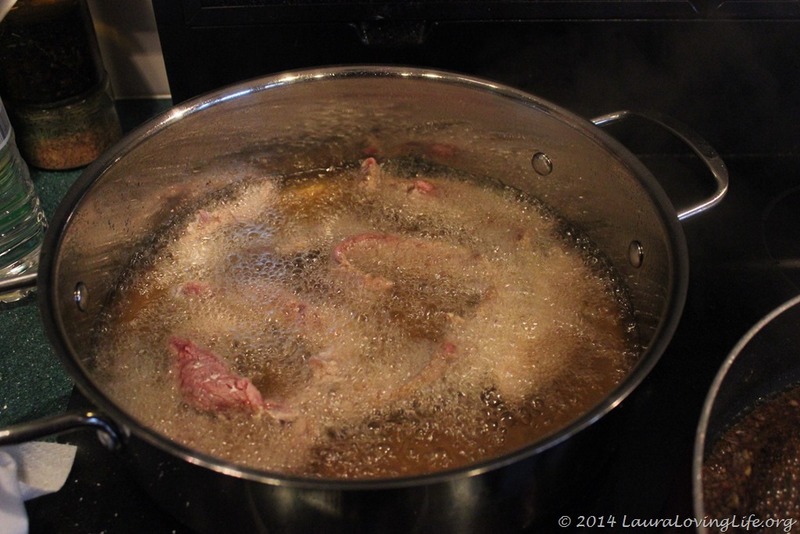 Shake excess cornstarch from the beef slices, and drop them into the hot oil, a few at a time. 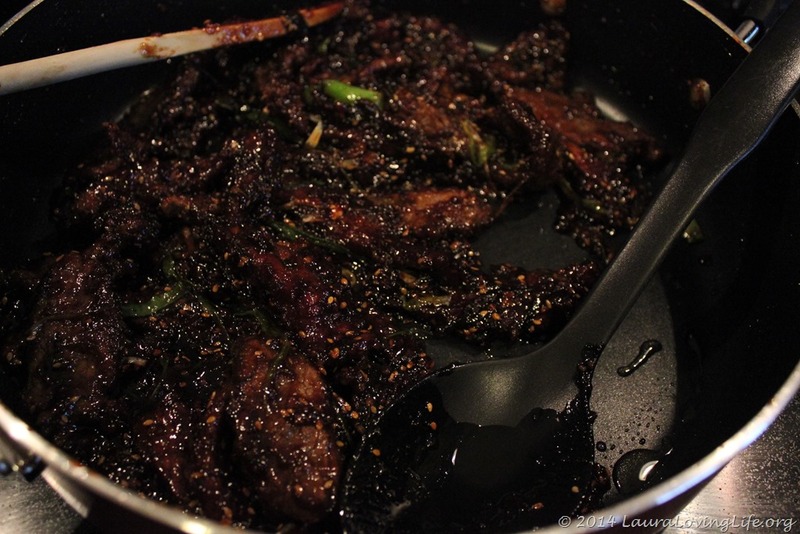 Stir briefly, and fry until the edges become crisp and start to brown, about 2 minutes for thicker slices, mine were fairly thin and cooked within a minute. 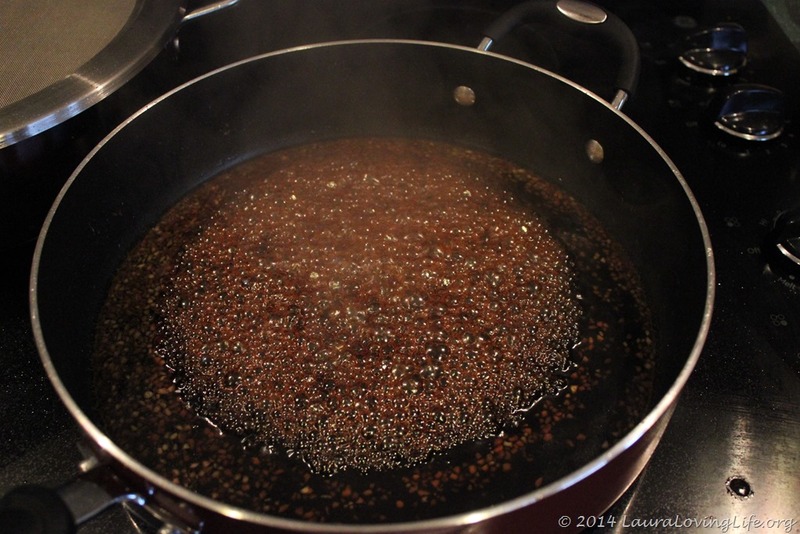 Remove the beef from the oil with a large slotted spoon, and allow to drain on paper towels to remove excess oil. 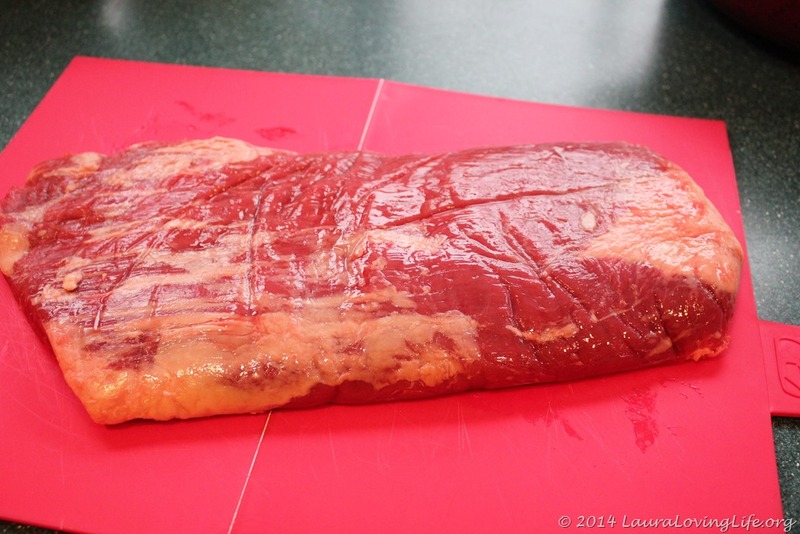 Make sure to move the beef as it drains so you don’t drain the next batch on the last batch of meat. That would defeat the purpose. In a separate large sauté pan bring to medium heat. 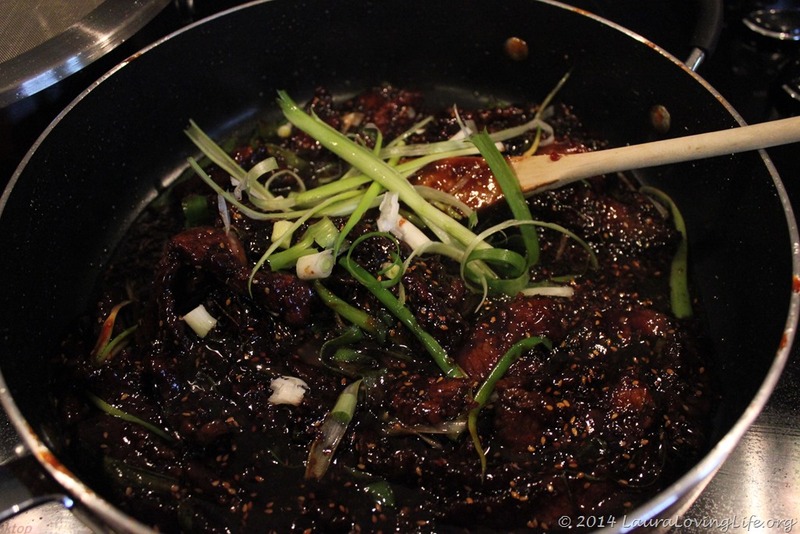 Add the beef slices to the pan, stir briefly, and pour in the reserved sauce. 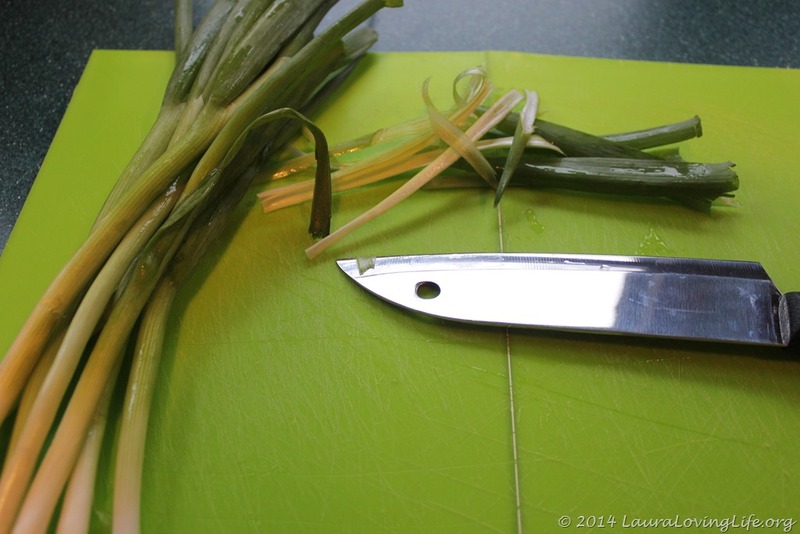 Stir once or twice to combine, and add the green onions. Bring the mixture to a boil, and cook until the onions have softened and turned bright green, about 2 minutes. 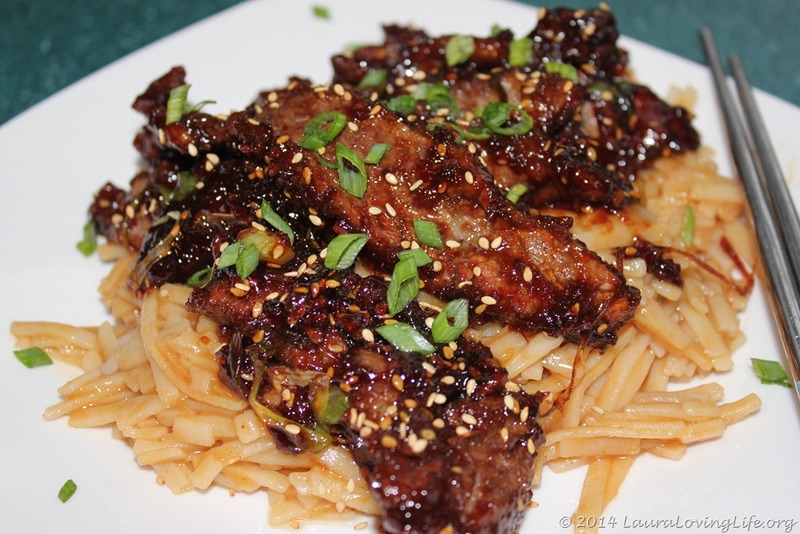 Serve over your predetermined choice of noodles or rice and garnish with the green chopped onion and sesame seeds. Love how this came out, absolutely restaurant quality and not sure I would change a thing about the way it was done. 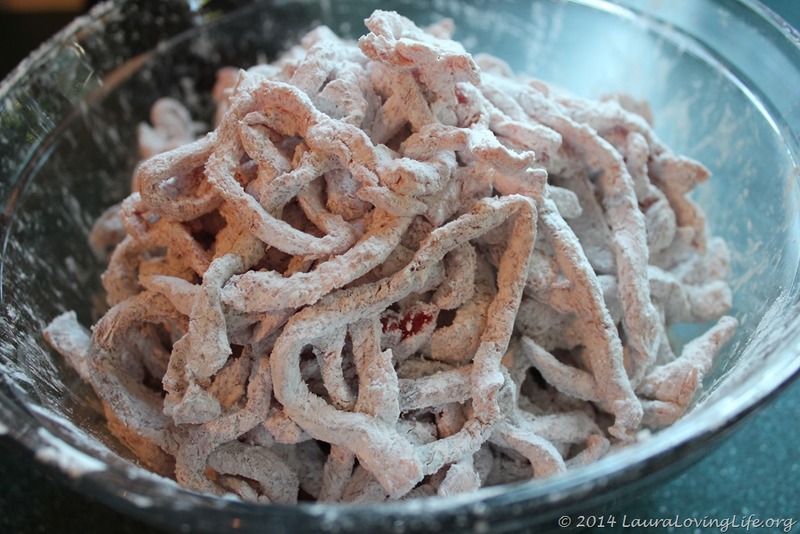 I hope you enjoyed the recipe and that you get a chance to wow your family or friends with it. You can always reach me at lauraLovinglife@hotmail.com, or by commenting. This is a recipe I would like to try. thanks for sharing. You are very welcome, and I love that you enjoy the recipes!! 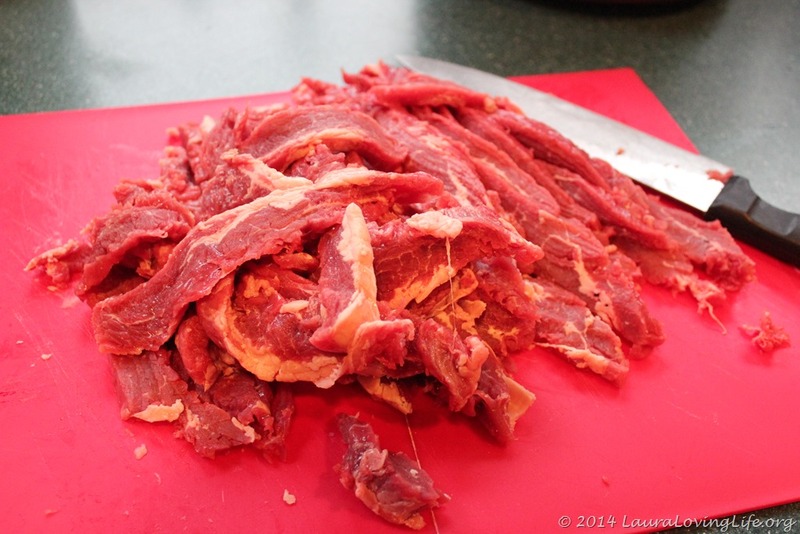 I think my son and his girlfriend would really like this – and would be overjoyed that it’s meat! I’ve seen a few pictures on pinterest but didn’t know what the method was – thanks for posting. I’m gonna try this for sure. It really is pretty easy and the results are great. Just prepare everything before starting to get it moving faster. Let me know how it turns out!